Bright White exterior, Tradesman trim. Bluetooth, Fourth Passenger Door, iPod/MP3 Input, ENGINE: 2.4L I4 MULTIAIR, QUICK ORDER PACKAGE 24C TRADESMAN CAR... TRANSMISSION: 9-SPEED 948TE AUTOMATIC... EPA 28 MPG Hwy/21 MPG City! SEE MORE!KEY FEATURES INCLUDEBack-Up Camera, iPod/MP3 Input, Bluetooth, Fourth Passenger Door MP3 Player, Keyless Entry, Child Safety Locks, Electronic Stability Control.OPTION PACKAGESPARKSENSE REAR PARK ASSIST SYSTEM, SPEED CONTROL, QUICK ORDER PACKAGE 24C TRADESMAN CARGO VAN Engine: 2.4L I4 MultiAir, Transmission: 9-Speed 948TE Automatic, Supplemental Side Curtain Front Air Bags, TRANSMISSION: 9-SPEED 948TE AUTOMATIC (STD), ENGINE: 2.4L I4 MULTIAIR (STD).EXPERTS CONCLUDEKBB.com's review says The ProMaster City is a class leader for payload and cargo capacity, while the passenger version makes an interesting substitute for a wagon or small SUV.. Great Gas Mileage: 28 MPG Hwy.WHY BUY FROM USBaxter Chrysler Dodge Jeep Ram West Dodge, a full-service car dealership in Omaha, is your source for new cars, trucks and SUVs both online and in our showroom. We also sell used vehicles and certified pre-owned vehicles. At our 17950 Burt Street location, we also provide Mopar parts and auto repair service. We're part of Baxter Auto, the largest dealer group in Nebraska.Fuel economy calculations based on original manufacturer data for trim engine configuration. Please confirm the accuracy of the included equipment by calling us prior to purchase. Bluetooth, Fourth Passenger Door, iPod/MP3 Input, ENGINE: 2.4L I4 MULTIAIR, QUICK ORDER PACKAGE 24C TRADESMAN CAR... TRANSMISSION: 9-SPEED 948TE AUTOMATIC... EPA 28 MPG Hwy/21 MPG City! 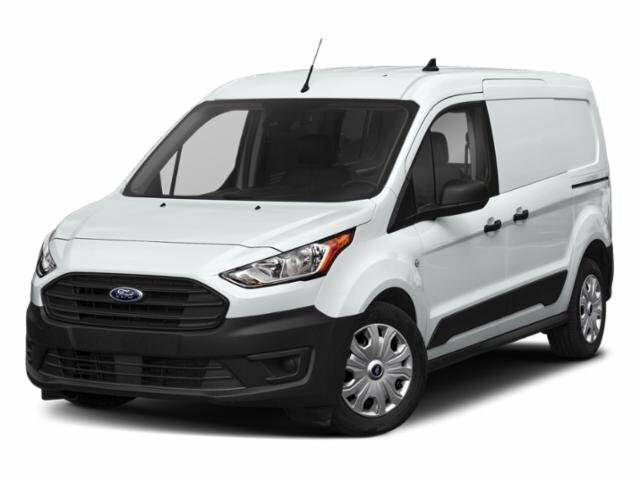 Tradesman trim, Bright White exterior CLICK ME!KEY FEATURES INCLUDEBack-Up Camera, iPod/MP3 Input, Bluetooth, Fourth Passenger Door. MP3 Player, Third Passenger Door, Keyless Entry, Child Safety Locks, Electronic Stability Control.OPTION PACKAGESPARKSENSE REAR PARK ASSIST SYSTEM, SPEED CONTROL, QUICK ORDER PACKAGE 24C TRADESMAN CARGO VAN Engine: 2.4L I4 MultiAir, Transmission: 9-Speed 948TE Automatic, Supplemental Side Curtain Front Air Bags, TRANSMISSION: 9-SPEED 948TE AUTOMATIC (STD), ENGINE: 2.4L I4 MULTIAIR (STD).VEHICLE REVIEWSKBB.com explains The ProMaster City is a class leader for payload and cargo capacity, while the passenger version makes an interesting substitute for a wagon or small SUV.. Great Gas Mileage: 28 MPG Hwy.VISIT US TODAYBaxter Chrysler Dodge Jeep Ram West Dodge, a full-service car dealership in Omaha, is your source for new cars, trucks and SUVs both online and in our showroom. We also sell used vehicles and certified pre-owned vehicles. At our 17950 Burt Street location, we also provide Mopar parts and auto repair service. We're part of Baxter Auto, the largest dealer group in Nebraska.Fuel economy calculations based on original manufacturer data for trim engine configuration. Please confirm the accuracy of the included equipment by calling us prior to purchase. EPA 28 MPG Hwy/21 MPG City! Bluetooth, Fourth Passenger Door, SPEED CONTROL, TRANSMISSION: 9-SPEED 948TE AUTOMATIC... ENGINE: 2.4L I4 MULTIAIR, iPod/MP3 Input, Back-Up Camera. ProMaster City Wagon trim, Bright White exterior READ MORE!KEY FEATURES INCLUDEBack-Up Camera, iPod/MP3 Input, Bluetooth, Fourth Passenger Door. MP3 Player, Third Passenger Door, Keyless Entry, Child Safety Locks, Electronic Stability Control.OPTION PACKAGESSPEED CONTROL, PARKSENSE REAR PARK ASSIST SYSTEM, TRANSMISSION: 9-SPEED 948TE AUTOMATIC (STD), ENGINE: 2.4L I4 MULTIAIR (STD).EXPERTS ARE SAYINGKBB.com's review says The ProMaster City is a class leader for payload and cargo capacity, while the passenger version makes an interesting substitute for a wagon or small SUV.. Great Gas Mileage: 28 MPG Hwy.MORE ABOUT USBaxter Chrysler Dodge Jeep Ram La Vista, a full-service car dealership in La Vista, is your source for new cars, trucks and SUVs both online and in our showroom. We also sell used vehicles and certified pre-owned vehicles. At our 7010 South 124th Circle location, we also provide Mopar parts and auto repair service. We're part of Baxter Auto, the largest dealer group in Nebraska.Fuel economy calculations based on original manufacturer data for trim engine configuration. Please confirm the accuracy of the included equipment by calling us prior to purchase. SLT trim, Bright White exterior. Fourth Passenger Door, TRANSMISSION: 9-SPEED 948TE AUTOMATIC... ENGINE: 2.4L I4 MULTIAIR, Back-Up Camera, Bluetooth, iPod/MP3 Input. EPA 28 MPG Hwy/21 MPG City! CLICK ME!KEY FEATURES INCLUDEBack-Up Camera, iPod/MP3 Input, Bluetooth, Fourth Passenger Door. MP3 Player, Third Passenger Door, Keyless Entry, Privacy Glass, Steering Wheel Controls.OPTION PACKAGESENGINE: 2.4L I4 MULTIAIR (STD), TRANSMISSION: 9-SPEED 948TE AUTOMATIC (STD).VEHICLE REVIEWSKBB.com explains The ProMaster City is a class leader for payload and cargo capacity, while the passenger version makes an interesting substitute for a wagon or small SUV.. Great Gas Mileage: 28 MPG Hwy.OUR OFFERINGSBaxter Chrysler Dodge Jeep Ram Lincoln, a full-service car dealership in Lincoln, is your source for new cars, trucks and SUVs both online and in our showroom. We also sell used vehicles and certified pre-owned vehicles. At our 6601 Telluride Drive location, we also provide Mopar parts and auto repair service. We're part of Baxter Auto, the largest dealer group in Nebraska.Fuel economy calculations based on original manufacturer data for trim engine configuration. Please confirm the accuracy of the included equipment by calling us prior to purchase. XL trim. Flex Fuel, iPod/MP3 Input, Fourth Passenger Door. Warranty 5 yrs/60k Miles - Drivetrain Warranty; AND MORE!KEY FEATURES INCLUDEFlex Fuel, iPod/MP3 Input, Fourth Passenger Door. Third Passenger Door, Keyless Entry, Electronic Stability Control, Bucket Seats, Brake Assist.EXPERTS RAVEEdmunds.com's review says In addition to economy, utility and practicality, this Euro-derived van features a relatively stylish design that's a cut above some of its boxier competitors. And the cabin provides a comfortable environment, with decently supportive seats and a modern, well-organized dashboard..VISIT US TODAYBaxter Ford South, a full-service Ford dealership in Omaha, is your source for new Ford cars, trucks, vans and SUVs both online and in our showroom. We also sell used vehicles and certified pre-owned Fords. At our 9203 South 145th Street (near Sapp Bros.) location, we also provide parts and auto repair service. We're part of Baxter Auto, the largest dealer group in Nebraska.Please confirm the accuracy of the included equipment by calling us prior to purchase. WiFi Hotspot, Smart Device Integration, Back-Up Camera, iPod/MP3 Input, Bluetooth, Fourth Passenger Door, Remote Engine Start. XL trim. Warranty 5 yrs/60k Miles - Drivetrain Warranty; CLICK ME!KEY FEATURES INCLUDEBack-Up Camera, iPod/MP3 Input, Bluetooth, Remote Engine Start, Fourth Passenger Door, Smart Device Integration, WiFi Hotspot. MP3 Player, Keyless Entry, Steering Wheel Controls, Electronic Stability Control.VISIT US TODAYBaxter Ford South, a full-service Ford dealership in Omaha, is your source for new Ford cars, trucks, vans and SUVs both online and in our showroom. We also sell used vehicles and certified pre-owned Fords. At our 9203 South 145th Street (near Sapp Bros.) location, we also provide parts and auto repair service. We're part of Baxter Auto, the largest dealer group in Nebraska.Please confirm the accuracy of the included equipment by calling us prior to purchase. XL trim. WiFi Hotspot, Smart Device Integration, Back-Up Camera, iPod/MP3 Input, Bluetooth, Fourth Passenger Door, Remote Engine Start. Warranty 5 yrs/60k Miles - Drivetrain Warranty; READ MORE!KEY FEATURES INCLUDEBack-Up Camera, iPod/MP3 Input, Bluetooth, Remote Engine Start, Fourth Passenger Door, Smart Device Integration, WiFi Hotspot. MP3 Player, Keyless Entry, Steering Wheel Controls, Electronic Stability Control.BUY FROM AN AWARD WINNING DEALERBaxter Ford South, a full-service Ford dealership in Omaha, is your source for new Ford cars, trucks, vans and SUVs both online and in our showroom. We also sell used vehicles and certified pre-owned Fords. At our 9203 South 145th Street (near Sapp Bros.) location, we also provide parts and auto repair service. We're part of Baxter Auto, the largest dealer group in Nebraska.Please confirm the accuracy of the included equipment by calling us prior to purchase. XL trim. WiFi Hotspot, Smart Device Integration, Back-Up Camera, iPod/MP3 Input, Bluetooth, Fourth Passenger Door, Remote Engine Start. Warranty 5 yrs/60k Miles - Drivetrain Warranty; READ MORE!KEY FEATURES INCLUDEBack-Up Camera, iPod/MP3 Input, Bluetooth, Remote Engine Start, Fourth Passenger Door, Smart Device Integration, WiFi Hotspot. MP3 Player, Keyless Entry, Steering Wheel Controls, Electronic Stability Control.VISIT US TODAYBaxter Ford South, a full-service Ford dealership in Omaha, is your source for new Ford cars, trucks, vans and SUVs both online and in our showroom. We also sell used vehicles and certified pre-owned Fords. At our 9203 South 145th Street (near Sapp Bros.) location, we also provide parts and auto repair service. We're part of Baxter Auto, the largest dealer group in Nebraska.Please confirm the accuracy of the included equipment by calling us prior to purchase. XL trim. WiFi Hotspot, Smart Device Integration, Back-Up Camera, iPod/MP3 Input, Bluetooth, Fourth Passenger Door, Remote Engine Start. Warranty 5 yrs/60k Miles - Drivetrain Warranty; CLICK ME!KEY FEATURES INCLUDEBack-Up Camera, iPod/MP3 Input, Bluetooth, Remote Engine Start, Fourth Passenger Door, Smart Device Integration, WiFi Hotspot. MP3 Player, Keyless Entry, Steering Wheel Controls, Electronic Stability Control.WHO WE AREBaxter Ford South, a full-service Ford dealership in Omaha, is your source for new Ford cars, trucks, vans and SUVs both online and in our showroom. We also sell used vehicles and certified pre-owned Fords. At our 9203 South 145th Street (near Sapp Bros.) location, we also provide parts and auto repair service. We're part of Baxter Auto, the largest dealer group in Nebraska.Please confirm the accuracy of the included equipment by calling us prior to purchase. WiFi Hotspot, Smart Device Integration, Back-Up Camera, iPod/MP3 Input, Bluetooth, Fourth Passenger Door, Remote Engine Start. XL trim. Warranty 5 yrs/60k Miles - Drivetrain Warranty; CLICK ME!KEY FEATURES INCLUDEBack-Up Camera, iPod/MP3 Input, Bluetooth, Remote Engine Start, Fourth Passenger Door, Smart Device Integration, WiFi Hotspot. MP3 Player, Keyless Entry, Steering Wheel Controls, Electronic Stability Control.WHO WE AREBaxter Ford South, a full-service Ford dealership in Omaha, is your source for new Ford cars, trucks, vans and SUVs both online and in our showroom. We also sell used vehicles and certified pre-owned Fords. At our 9203 South 145th Street (near Sapp Bros.) location, we also provide parts and auto repair service. We're part of Baxter Auto, the largest dealer group in Nebraska.Please confirm the accuracy of the included equipment by calling us prior to purchase. XL trim. WiFi Hotspot, Smart Device Integration, Back-Up Camera, iPod/MP3 Input, Bluetooth, Fourth Passenger Door, Remote Engine Start. Warranty 5 yrs/60k Miles - Drivetrain Warranty; AND MORE!KEY FEATURES INCLUDEBack-Up Camera, iPod/MP3 Input, Bluetooth, Remote Engine Start, Fourth Passenger Door, Smart Device Integration, WiFi Hotspot. MP3 Player, Keyless Entry, Steering Wheel Controls, Electronic Stability Control.WHO WE AREBaxter Ford South, a full-service Ford dealership in Omaha, is your source for new Ford cars, trucks, vans and SUVs both online and in our showroom. We also sell used vehicles and certified pre-owned Fords. At our 9203 South 145th Street (near Sapp Bros.) location, we also provide parts and auto repair service. We're part of Baxter Auto, the largest dealer group in Nebraska.Please confirm the accuracy of the included equipment by calling us prior to purchase. WiFi Hotspot, Smart Device Integration, Back-Up Camera, iPod/MP3 Input, Bluetooth, Fourth Passenger Door, Remote Engine Start. XL trim. Warranty 5 yrs/60k Miles - Drivetrain Warranty; READ MORE!KEY FEATURES INCLUDEBack-Up Camera, iPod/MP3 Input, Bluetooth, Remote Engine Start, Fourth Passenger Door, Smart Device Integration, WiFi Hotspot MP3 Player, Keyless Entry, Steering Wheel Controls, Electronic Stability Control.WHO WE AREBaxter Ford South, a full-service Ford dealership in Omaha, is your source for new Ford cars, trucks, vans and SUVs both online and in our showroom. We also sell used vehicles and certified pre-owned Fords. At our 9203 South 145th Street (near Sapp Bros.) location, we also provide parts and auto repair service. We're part of Baxter Auto, the largest dealer group in Nebraska.Please confirm the accuracy of the included equipment by calling us prior to purchase. XL trim. WiFi Hotspot, Smart Device Integration, Back-Up Camera, iPod/MP3 Input, Bluetooth, Fourth Passenger Door, Remote Engine Start. Warranty 5 yrs/60k Miles - Drivetrain Warranty; SEE MORE!KEY FEATURES INCLUDEBack-Up Camera, iPod/MP3 Input, Bluetooth, Remote Engine Start, Fourth Passenger Door, Smart Device Integration, WiFi Hotspot MP3 Player, Keyless Entry, Steering Wheel Controls, Electronic Stability Control.WHY BUY FROM USBaxter Ford South, a full-service Ford dealership in Omaha, is your source for new Ford cars, trucks, vans and SUVs both online and in our showroom. We also sell used vehicles and certified pre-owned Fords. At our 9203 South 145th Street (near Sapp Bros.) location, we also provide parts and auto repair service. We're part of Baxter Auto, the largest dealer group in Nebraska.Please confirm the accuracy of the included equipment by calling us prior to purchase. XL trim. WiFi Hotspot, Smart Device Integration, Back-Up Camera, iPod/MP3 Input, Bluetooth, Fourth Passenger Door, Remote Engine Start. Warranty 5 yrs/60k Miles - Drivetrain Warranty; AND MORE!KEY FEATURES INCLUDEBack-Up Camera, iPod/MP3 Input, Bluetooth, Remote Engine Start, Fourth Passenger Door, Smart Device Integration, WiFi Hotspot MP3 Player, Keyless Entry, Steering Wheel Controls, Electronic Stability Control.VISIT US TODAYBaxter Ford South, a full-service Ford dealership in Omaha, is your source for new Ford cars, trucks, vans and SUVs both online and in our showroom. We also sell used vehicles and certified pre-owned Fords. At our 9203 South 145th Street (near Sapp Bros.) location, we also provide parts and auto repair service. We're part of Baxter Auto, the largest dealer group in Nebraska.Please confirm the accuracy of the included equipment by calling us prior to purchase. XL trim. WiFi Hotspot, Smart Device Integration, Back-Up Camera, Auxiliary Audio Input, Bluetooth Connection, Fourth Passenger Door, Remote Engine Start. Warranty 5 yrs/60k Miles - Drivetrain Warranty; SEE MORE!KEY FEATURES INCLUDEBack-Up Camera, Auxiliary Audio Input, Bluetooth Connection, Remote Engine Start, Fourth Passenger Door, Smart Device Integration, WiFi Hotspot MP3 Player, Keyless Entry, Steering Wheel Audio Controls, Stability Control.WHY BUY FROM USBaxter Ford South, a full-service Ford dealership in Omaha, is your source for new Ford cars, trucks, vans and SUVs both online and in our showroom. We also sell used vehicles and certified pre-owned Fords. At our 9203 South 145th Street (near Sapp Bros.) location, we also provide parts and auto repair service. We're part of Baxter Auto, the largest dealer group in Nebraska.Please confirm the accuracy of the included equipment by calling us prior to purchase. Smart Device Integration, WiFi Hotspot, Back-Up Camera, iPod/MP3 Input, Bluetooth, Fourth Passenger Door, Remote Engine Start. XL trim. Warranty 5 yrs/60k Miles - Drivetrain Warranty; CLICK NOW!KEY FEATURES INCLUDEBack-Up Camera, iPod/MP3 Input, Bluetooth, Remote Engine Start, Fourth Passenger Door, Smart Device Integration, WiFi Hotspot MP3 Player, Keyless Entry, Steering Wheel Controls, Electronic Stability Control.BUY FROM AN AWARD WINNING DEALERBaxter Ford South, a full-service Ford dealership in Omaha, is your source for new Ford cars, trucks, vans and SUVs both online and in our showroom. We also sell used vehicles and certified pre-owned Fords. At our 9203 South 145th Street (near Sapp Bros.) location, we also provide parts and auto repair service. We're part of Baxter Auto, the largest dealer group in Nebraska.Please confirm the accuracy of the included equipment by calling us prior to purchase. WiFi Hotspot, Smart Device Integration, Back-Up Camera, iPod/MP3 Input, Bluetooth, Fourth Passenger Door, Remote Engine Start. XL trim. Warranty 5 yrs/60k Miles - Drivetrain Warranty; AND MORE!KEY FEATURES INCLUDEBack-Up Camera, iPod/MP3 Input, Bluetooth, Remote Engine Start, Fourth Passenger Door, Smart Device Integration, WiFi Hotspot. MP3 Player, Keyless Entry, Steering Wheel Controls, Electronic Stability Control.VISIT US TODAYBaxter Ford South, a full-service Ford dealership in Omaha, is your source for new Ford cars, trucks, vans and SUVs both online and in our showroom. We also sell used vehicles and certified pre-owned Fords. At our 9203 South 145th Street (near Sapp Bros.) location, we also provide parts and auto repair service. We're part of Baxter Auto, the largest dealer group in Nebraska.Please confirm the accuracy of the included equipment by calling us prior to purchase. WiFi Hotspot, Smart Device Integration, Back-Up Camera, iPod/MP3 Input, Bluetooth, Fourth Passenger Door, Remote Engine Start. XL trim. Warranty 5 yrs/60k Miles - Drivetrain Warranty; CLICK NOW!KEY FEATURES INCLUDEBack-Up Camera, iPod/MP3 Input, Bluetooth, Remote Engine Start, Fourth Passenger Door, Smart Device Integration, WiFi Hotspot MP3 Player, Keyless Entry, Steering Wheel Controls, Electronic Stability Control.VISIT US TODAYBaxter Ford South, a full-service Ford dealership in Omaha, is your source for new Ford cars, trucks, vans and SUVs both online and in our showroom. We also sell used vehicles and certified pre-owned Fords. At our 9203 South 145th Street (near Sapp Bros.) location, we also provide parts and auto repair service. We're part of Baxter Auto, the largest dealer group in Nebraska.Please confirm the accuracy of the included equipment by calling us prior to purchase. XL trim. Fourth Passenger Door, iPod/MP3 Input, Back-Up Camera, Remote Engine Start, Bluetooth. Warranty 5 yrs/60k Miles - Drivetrain Warranty; AND MORE!KEY FEATURES INCLUDEBack-Up Camera, iPod/MP3 Input, Bluetooth, Remote Engine Start, Fourth Passenger Door. 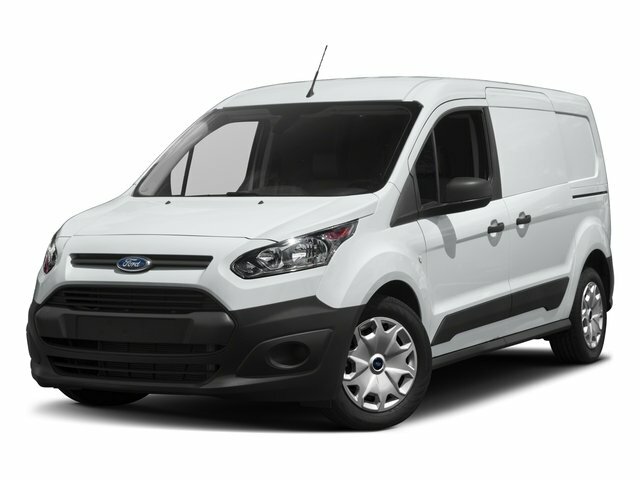 MP3 Player, Third Passenger Door, Keyless Entry, Steering Wheel Controls, Electronic Stability Control.WHY BUY FROM USBaxter Ford West Dodge, a full-service Ford dealership in Omaha, is your source for new Ford cars, trucks, vans and SUVs both online and in our showroom. We also sell used vehicles and certified pre-owned Fords. At our 18505 California Street (185th & Dodge) location, we also provide parts and auto repair service. We're part of Baxter Auto, the largest dealer group in Nebraska.Please confirm the accuracy of the included equipment by calling us prior to purchase.